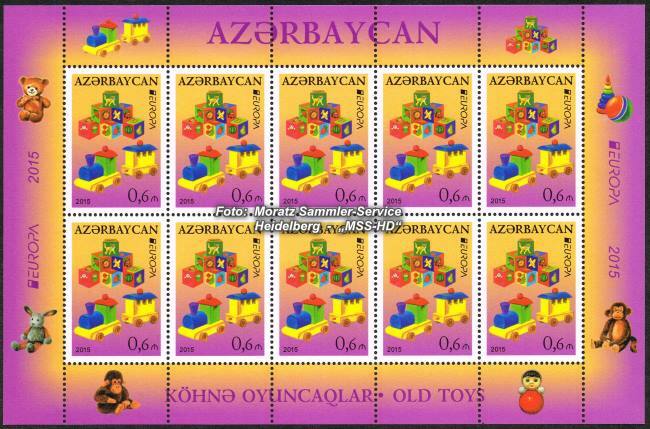 Azerbaijan: EUROPA CEPT 2015 "Old toys"
Complete set of 2 sheetlets with 10 postage stamps each. Catalogue numbers: MICHEL 1093-1094 A. Total number of copies: 1,500 sheetlets. 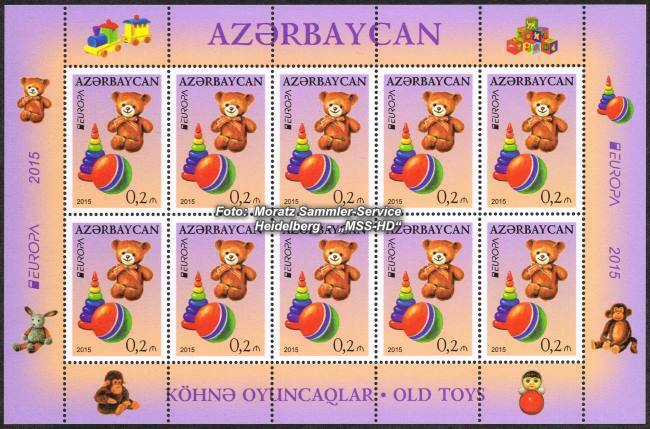 Theme: different old children's toys.